Welcome to University Hair Care, the hair salon in Berkeley, CA, that has helped customers look their best since 1996. Our talented stylists offer a complete range of hair services for women, men, and children of all ages. Whether you just need a simple trim or you’re ready for a bold makeover, we’ve got you covered. For friendly service and a fresh look that lets you feel great, schedule an appointment with one of our experienced stylists. Our salon is open six days a week to maintain the attractive appearance of your hair. Discover the look that’s uniquely you with our hair cutting, styling, and coloring services. From trims to perms, we do it all. What’s more, our salon gets your hair looking its best for an affordable price. Your satisfaction is always our number one priority. Please feel free to contact us with any questions, comments, or concerns you have about our salon services. We are committed to excellent customer service. When you want to boost your confidence, visit our hair salon for a variety of cutting and styling services. Our hair cuttery in Berkeley, CA, provides customers of all types the trendy cuts they love. From trims to perms, our passionate stylists do it all. With more than 20 years of experience, we provide the best hair styling services in the area. Our team always uses high-quality products and stays up-to-date on the latest fashions. We love what we do and can't wait to work with you. Our mission is simple: to provide the highest quality haircuts and salon services for men, women, and children at some of the area’s most competitive prices. Not only do we offer cuts, but we also do hair coloring, highlights, hairstyling, and relaxers. As a locally owned and operated hair salon in Berkeley since 1996, we are dedicated to keeping our community looking fabulous. Give us a call right away to schedule your next appointment. 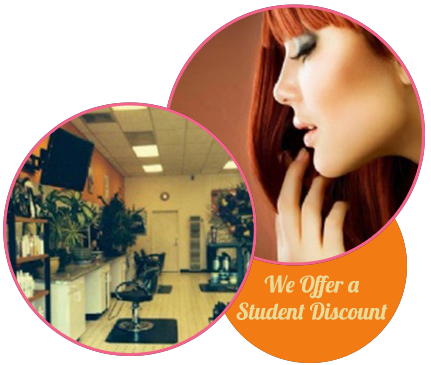 Visit us in Berkeley, California, for a complete range of hair styling services.